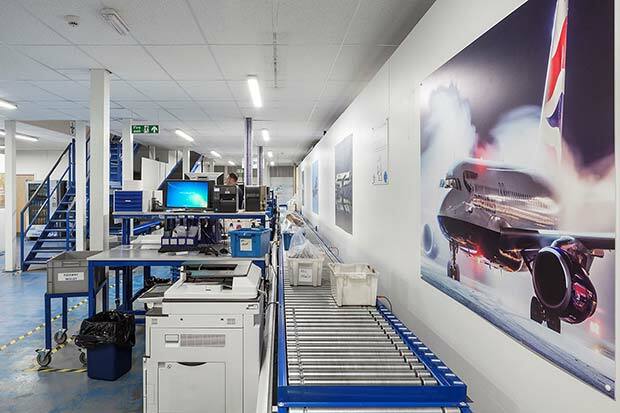 Market leading LED lighting brand, Goodlight, last month announced that Pattonair, a global aerospace and defence supply chain provider has reduced lighting energy costs by 40% by replacing the fluorescent tubes at its 3,400 m² European hub in Derby with long life, energy efficient G5 LED Battens from the Goodlight range. Goodlight supplied Pattonair with G5 LED Battens which deliver very high levels of light output, offering up to 110 lumens per watt. The G5s are rated to IP65 and provide further protection from dust, ice, heat and corrosion ingress. They are a direct drop-in replacement for standard 2ft, 4ft and 5ft fluorescent tubes and are available in daylight, natural and warm white colour temperatures. Housed in a sleek body, and IP65- protected, the G5 maintains an attractive appearance for front-ofhouse as well as being robust and durable in work areas. The lamps come with a 5 year warranty and have a lifespan of 50,000 hours.